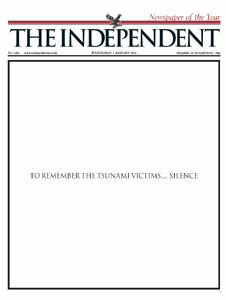 The stark contrasts of the front pages caught my eye today. 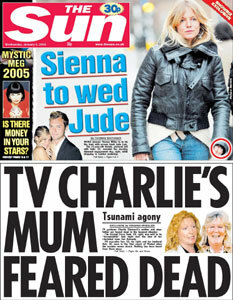 The Sun and The Star both have different takes on the disaster, with the sun leading on Charlie Dimmock’s mother, and the Star just about managing to squeeze in a headline about the silence below a scantily clad ‘Jen’. 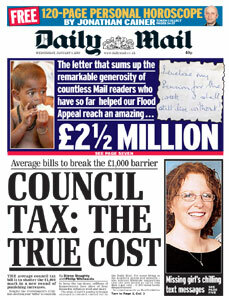 Rather than leading on the biggest natural disaster in history, the apparently respectable Mail lead on… Council Tax. I suppose I should be glad it wasn’t their new favourite: gypsies. This 164th post was filed under: News and Comment.